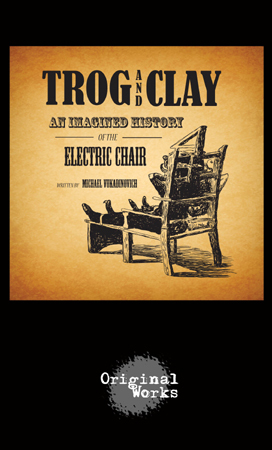 Synopsis: Trog and Clay is a wildly imaginative retelling of the genesis of the electric chair. 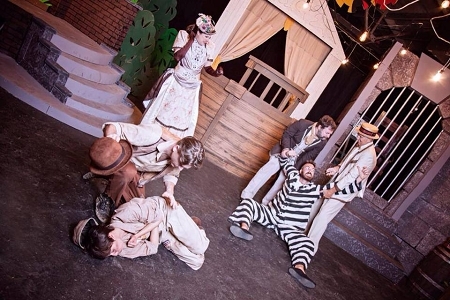 Based on the actual trial transcripts of William Kemmler, the first person put to death by electrocution, this skewed comedy obscured the line between fact and invention, while wryly looking into America's grim history. The bumbling duo, Trog and Clay, unwittingly get caught up in the rivalry between two inventors, George Westinghouse and Thomas Edison. While one is destined to create the electrical system that will power America, the other will be remembered for killing criminals in a way that isn't as painless as is initially claimed.